Our range of products include class b/type i & class c/type ii surge protection device, photovoltaic surge protector, rj45 surge protector for data lines, led surge protector, conventional lightning arrester and power surge protection. We are the leading manufacturer and supplier of surge absorber used in different industry. To acquire the complete gratification of our clients, we are instrumental in the fabrication of durable power protection. Our range is easy to install.These are in great demands by our clients all across the world. 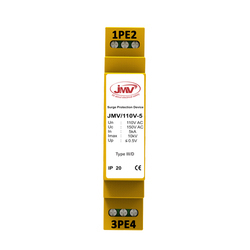 JMV RJ45 Surge Protective Device is designed according to IEC standard. 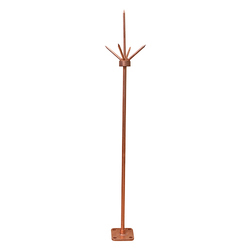 It is easy installation, easy maintenance and can work firmly under severe environment. It is suitable for the POE power supply HD digital security camera, POE power supply exchanger and concentrator. It can prevent the equipment from the permanent damage caused by induce over-voltage, over current, and other induced surge voltage. When it is used in the POE system, it can automatically discriminate the inactive line power supply from the data line power supply, so that it is suitable for any kinds of POE power supplies system. LED Surge Protection Devices safeguard our expensive outdoor LED lighting against above mentioned damaging surges/ transients. This highly advance technology based protection device is crafted to ensure the best protection shield and improving the expectancy life of outdoors LED lighting. 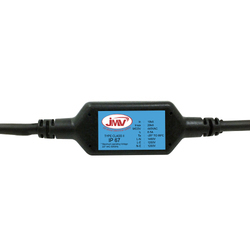 Our LED surge protector is providing an extra guarantee to the end user in terms of reliability and durability. To protect cells and inverters form the over voltage caused by surge, we offer a qualitative collection of solar surge protection. These are known for their excellent features. Our clients are availed by us an unmatched collection of products. The main job of a surge protector is to protect electronic devices from power surges by diverting the extra electricity into the outlet's grounding wire when the voltage from the outlet surges or spikes -- rises above the desired level. Electronic equipments are much more delicate, sensitive to fluctuations/ over voltage and expensive than the older equipment ever was which is why protecting them is very important. Surge is more commonly caused by high-power electrical devices like air refrigerators and conditioners that require a lot of energy for starting and stopping compressors and motors. Surge protector generally extends the life of these devices. Faulty wiring also caused spikes. Telephone and cable lines need surge suppression too as they can also conduct high voltage. A surge protection device will harmlessly short the excess voltage to ground and away from sensitive equipment to prevent the damages from most power surges. We offer a complete protection solution, tailored to your needs at a very competitive price. 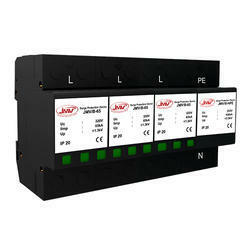 Surge Protection devices are suitable for Class B Surge protection, used at the equipotential connection of LPZ 0 A and LPZ 1 zone, which protects the electrical network due to lightning and switching Surges. Lightning Surge protector can be use of consumer systems against direct lightning stroke into the overhead power supply line or outdoor lightning protection system. 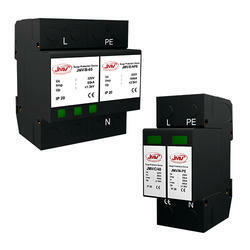 We offer and deal in wide range of single phase surge arrester. These are heavy duty surge protectors for AC. 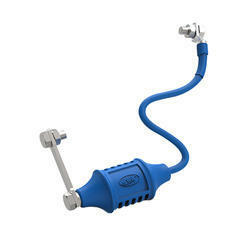 These are specifically designed for connecting at the entrance of the electrical installation. 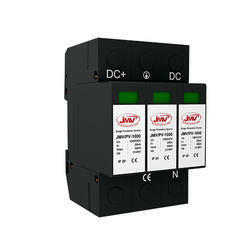 These provide full protection to ACs and other such devices by transferring the heavy voltage to the ground. We provide these in a large range and at attractive prices. Surge Suppressor type 3 offered by us is a combining surge protector reckoned in the market as a trusted, cost effective and efficient solution of keeping the equipments safe and secure for life time. 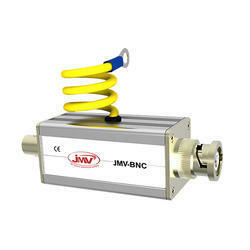 BDL/BNC connector series of Coaxial Signal Surge Protection Device are designed to guard computer network system that includes the monitoring system of security system, coaxial signal transmission and close cerquit TV, satellite communication system and so on. An Isolating Spark Gap SPD is designed to protect the pipe insulation and the insulating flanges against damage caused by lightning impulse or surge voltage. 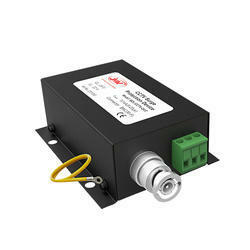 They discharge the overvoltage energy in a dangerous, potentially explosive atmosphere without sparking. During the event of surge voltage an isolating spark gap becomes low resistant and discharges the voltage. With the help of highest possible lightning current carrying capacity class in accordance with IEC 52561-3, even large lightning currents safely discharge to ground via a defined path. An Isolating Spark Gaps can avoid failures, downtimes, and even leaks on pipelines and protect sensitive insulating flanges against sparkover. 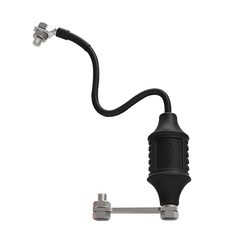 The isolating spark gap safely discharges surge voltages and ensures the smooth operation of the pipeline. An Isolating spark gaps have been designed to isolate electrical system components, which under normal operating conditions are not connected together. If lightning strikes cause a potential increase in one of the electrical system components, the isolating spark gap guarantees a conductive connection and therefore equipotential bonding. Isolating Spark Gaps are used when conductive installation components situated in explosion-hazard areas cannot be connected directly with each other. The spark gaps with low sparkover voltage are especially efficient for isolated installation components with little insulation resistance. As their name suggests, isolating and protective spark gaps comprise a spark gap. This gap transfers from the insulating to the current-permeable condition when an electric arc is ignited by a surge voltage. An isolating spark gap differs from a protective spark gap through its purpose for use. Isolating spark gaps isolate varying earth potentials, while the protective spark gap is used only in roof standard open-wire lines. The product is in acquiescence with Isolated Spark Gap Technology and is designed with special concern of performance under unfavorable surroundings or humidity. The Pipeline Cathodic Surge Protector is strictly incorporated for the protection of pipelines from harmful surges under not so prominent conditions. It shields the pipe insulation and insulating flanges against the dreadful appearance of lightning impulse or surge voltage. Looking for Surge Protector ?